It was time to say goodbye to our good friends Jason and Brook. We gave our all to show them a truly unique trip, and spared many expenses to give them an idea of how travel experiences don’t have to come with a big price tag. We also didn’t have enough money to go about it otherwise. The choices we made were more often than not a sacrifice in the time and luxury categories, and always came with a heaping dose of effort on the side. But the travel was real, and I knew from my own experiences that the memories of real travel would attach to our hippocampuses and remain unforgettable moments in time. So we shuffled back to Cartagena, enjoyed a superbly delicious Italian supper on a rooftop restaurant in one of her unbelievably beautiful plazas, and sent off our two backpacking buddies back to Bogota. We spent one more night in Cartagena to meet up with old friends from Boston and wound up eating at the exact same rooftop restaurant looking over the top of the twinkling city once again. We decided to spend a little extra cash and take a shuttle directly from our hostel in Cartagena to Santa Marta. The bus station in Cartagena is about 45 minutes away from the town center, and with the added cost of a taxi it made more sense to just book a shuttle. Our “air conditioned” van was packed to the gills (expectedly) with young tourists heading for Taganga. Taganga was a small fishing town near the large port of Santa Marta before opportunists discovered it a few years ago. The reports we heard were awful; the once quiet village of a few thousand Colombians had turned into a hub for the tourist party crowd. 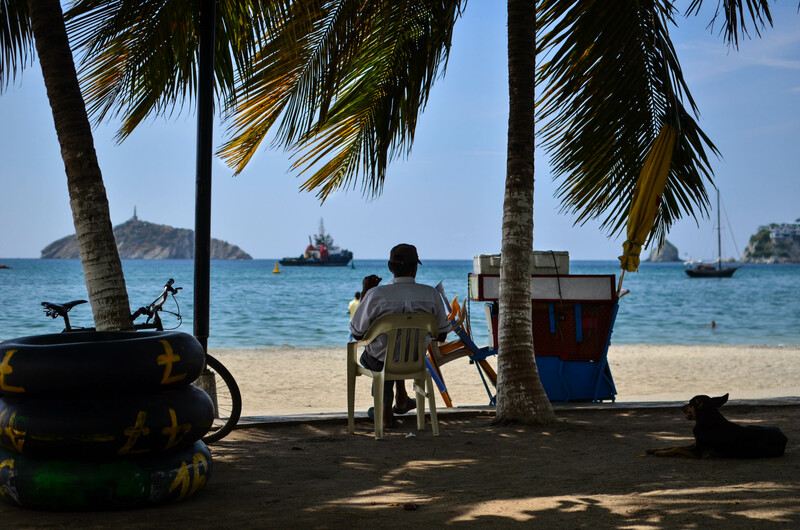 Having been to numerous villages that had the same taste of globalization, we were not intrigued at all to visit Taganga and chose to avoid the scene. There was a vast flat land between Cartagena and Santa Marta that swept off into a distant mountain chain to the east. Empty beaches along the coast faced off to natural nothingness on the opposite side. Eventually, our shuttle took an exit and we entered the Miami style beachfront of Rodadero, which was filled with high rises, upscale restaurants, and a lot of traffic. Massive headland cliffs separate the different bays and ports on the coast in this part of the world. The level road turned into a huge hill as we left Rodadero. 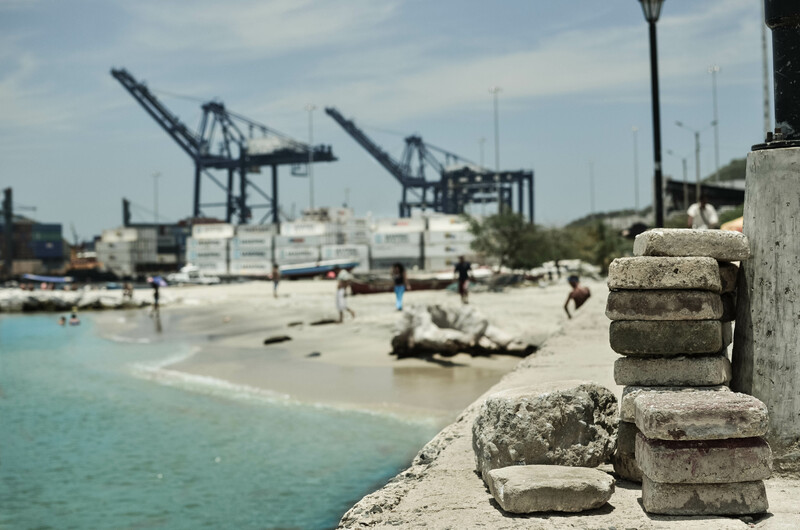 Our approach to Santa Marta kind of felt like a miniature version of Rio; huge bodies of smooth rock rose out from the earth vertically, creating a natural border. The hills vanished behind us and the city rose before our eyes. 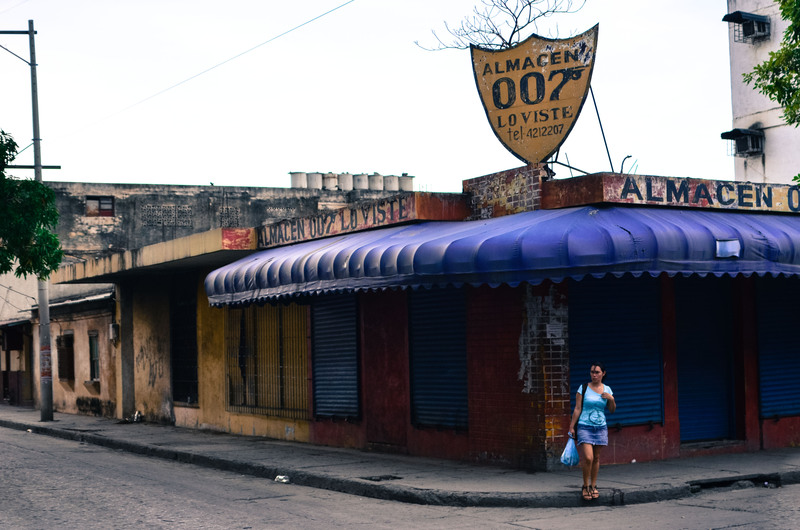 Santa Marta immediately looked like another Latin American city that was actively decaying. The concrete walls of buildings were trying to hold on to their steel skeletons while the salty sea air rusted them from within. Our shuttle originally promised door-to-door pick-up/drop-off, but the driver didn’t keep his end of the deal. We got kicked to the curb about 6 blocks from our door on a busy street. Shortly after I would realize that my prescription glasses fell out of my bag somewhere in the shuttle. This realization had not occurred before we watched the van drive off into unknown territory, cursing the driver for broken promises (magic happened later when the family of our hotel got in touch with the shuttle’s office, and the next day I picked up my glasses; this is unheard of in Colombia and travel in general). We appeared to be in a ghetto of some sorts with our entire worldly possessions once again, sin gaffas. This is the moment of traveling that I despise. There is a certain feeling of vulnerability when you have a gigantic tourist bulls-eyes strapped to your body. A foot chase is not an option when you have a 40 lb bag attached to yourself and you probably won’t catch up to the person who stole it from you either. The streets were eerily empty so we kept a quick pace towards the water. It had the feeling of “bad ending” written all over it but turned out just fine in the end. We checked into our family-owned hotel called “Casa Familiar” and immediately climbed upstairs to the roof to catch the setting sun. From the top it became very apparent that this was an active port town. Large cargo ships lined the horizon and a huge container shipyard was at the northernmost part of the bay. Our new favorite smoothie and Panini shop was right next door to our hotel, and immediately my day couldn’t begin until I consumed a massive mug of fresh fruit smoothie for about a buck. We instantly became regulars. Lounging in plastic chairs on the sidewalk sipping on tropical concoctions is not a bad scene to find yourself in. We were interacting with South America’s oldest living city, founded by Spanish Conquistadors in 1525. 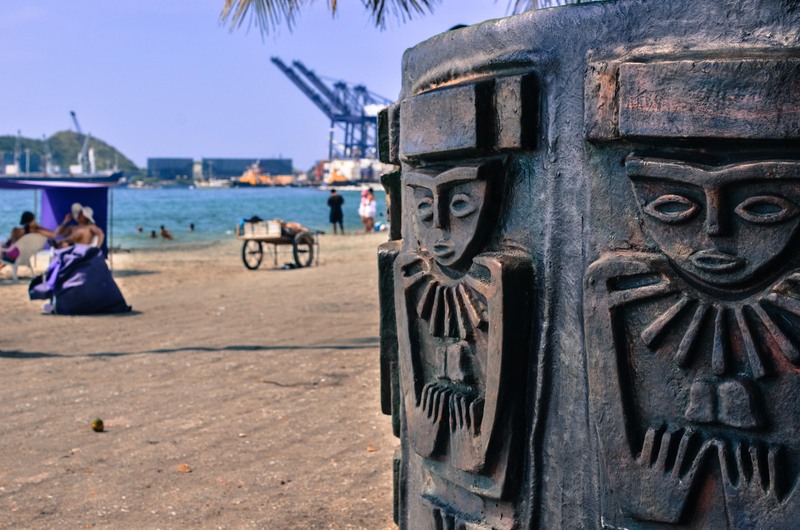 It’s prime location between the Caribbean Sea and the Sierra Nevadas to the east have helped to make it one of Colombia’s most happening tourist destinations. 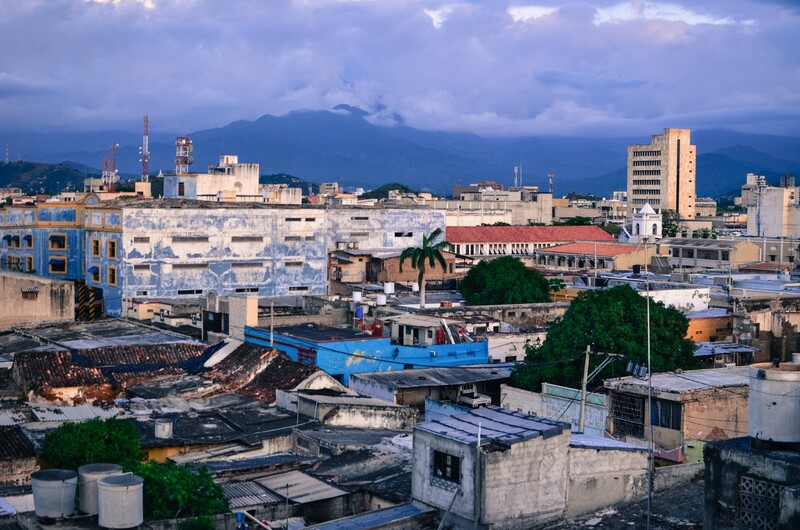 It is also plagued by the differences between the rich and the poor, visibly apparent by walking a few blocks away from the city center and into the chaotic, street hustle that provide income for everyday Colombians. The beach was small and fairly dirty by normal standards; there was a decent amount of rubbish in the water and on the sand. 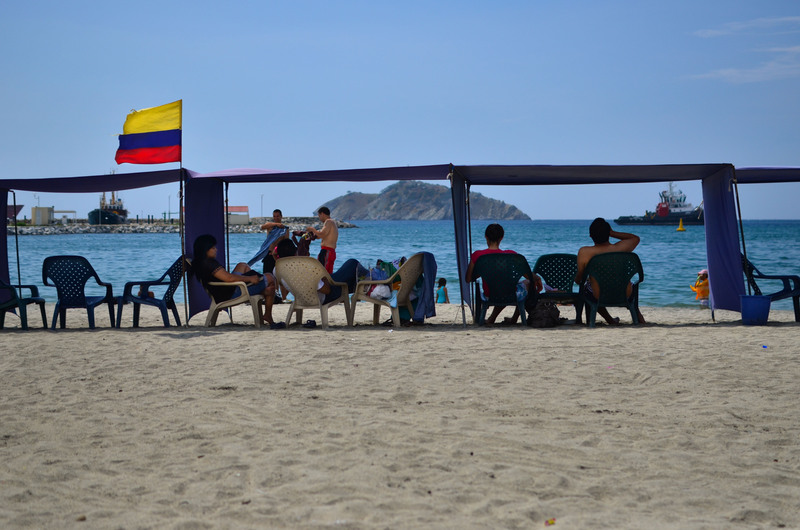 That did not stop Colombians from enjoying all that the stretch of shore had to offer. Kids were jumping off the sea walls and into the turquoise waters, people were lounging in the hot sun, and food carts were never far away. 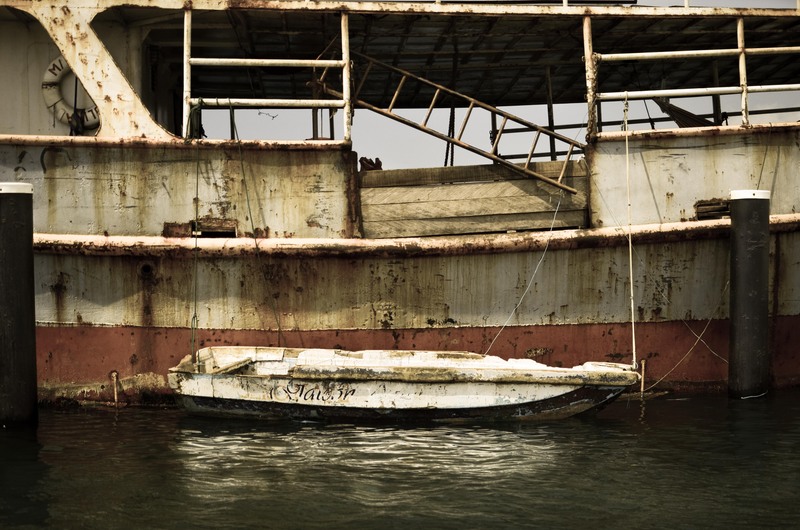 Large boats were anchored off one of the main docks and appeared to be rotting away in the salty sea. I saw hammocks tied to the beams with teens snoozing away in the sweltering heat of the day. Younger children played a game of pulling in anchored boats by the rope tied off to the docks and pretending to take them over like pirates. 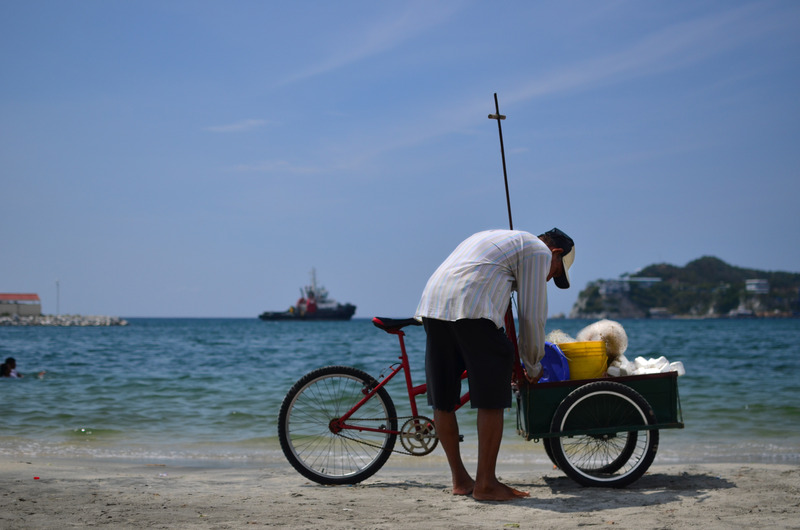 A short walk away, an older man gathered his fishing nets into his custom bike/cart after his morning catch. Further down the beach a proprietor sat in the shade of a sturdy palm tree next to big rubber inner tubes, waiting to rent them out to anyone with the urge to float. I became acquaintances with a vendor selling shaved ice flavored with sugary syrups and condensed milk on the strip. 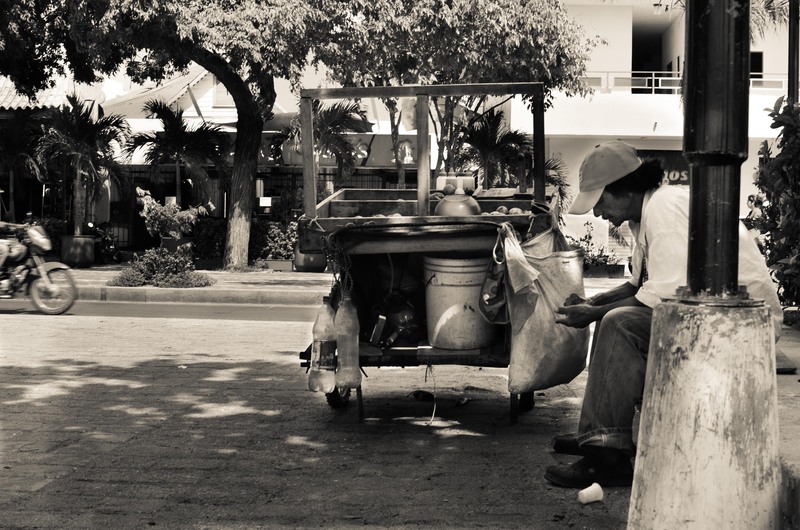 He ran a busy little business, hand cranking the wheeled-press of his customized cart in the shade for a small line of customers that never seemed to disappear. His hands were gnarled and conformed perfectly to the knobs and grips used to craft his frozen treats that he had undoubtedly been creating most of his life. The hot heat ensured that all shaded benches were occupied by different types of local characters chatting away in the solace from the sun. I participated in this activity from an outsider’s perspective quite often. I sat near a man with a cart full of limes while he counted the coins in his pocket, wondering how he got by with so little. I watched and waited until I caught a piece of whatever it was my soul was aching for, and then I would leave. We got to know Santa Marta by walking around her historic, beautiful, and often shifty streets. Santa Marta seemed to have a homeless kid problem, and it was visibly apparent any time of the day. We found a flier for volunteer opportunities working with homeless street children, aiming to get them in housing and back into society, but we couldn’t commit to the 1-month minimum commitment at the time. The batido street was immediately discovered (I’m a smoothie nut) across from a large church plaza. I can’t count how many zapote smoothies I had in Santa Marta, many of them on this street lined with a dozen or so smoothie stands. The walk to the closest grocery store brought us through the street mercado and into a world barren of tourists. Street stands offering everything from herbs and spices, bicycle repair, lamps, and various used tools lined the bustling sidewalks. All eyes were on us in these areas. I felt a level of discomfort using my camera so I didn’t really take it out unless it felt right. Serendipity brought us upon a church ceremony one night, where through an open window we listened to an acoustic performance that was accompanied by the entire crowd joining in for the verses. Santa Marta had a lot of real Colombian charm behind it’s ominous looking façade. Our hotel mom gave us constant warnings to avoid cross streets and to take the long way for general safety. Naturally, we went anyway, and saw what was behind the concern, and wandered the streets with a certain degree of caution at times and always with a caliber of confidence (my secret to avoiding trouble). I came to like Santa Marta a little bit, which caught me off guard considering it’s repressively hot heat every day. By the way, it is almost impossible to find an air-conditioned place to hang out there to escape the heat, unless it’s your hotel room. Many travelers just use it as a place to start their “Lost City” treks, go up into the mountains a little, or get to the northernmost point of South America. We got lost in it’s open air markets, explored it’s streets, and found the best food deals by getting completely disoriented with familiar territories. Go get lost, it’s the best way to find new things. Love the story of your journey to your hotel…so common. My wife is still trying to establish where the suitcase with all her underwear and favorite robe disappeared to. Keep telling her “things go missing” in Latin America. I’ll take the as usual comment. I can’t tell you how many times we were promised this, that, and everything we wanted to hear to buy the damn ride only to find out that the only sure thing about the transaction was money exchanging hands. We were very lucky, our things didn’t walk off that often. Thanks for stopping by again! Really enjoyed reading your Santa Marta narrative! You’ve presented what’s Colombia’s really like to us; I will be heading out there in April so looking forward to reading more about your adventures. I’m glad you liked it. You will love Colombia for sure. Keep poking your head in over here for updates, I’ll be writing about Colombia for a few months. Thanks for commenting! Gorgeous photos! Coupled with your narrative, it creates a fantastic window into the real Columbia. I truly can only imagine how that experience was. A illustration of show and tell, no pun intended. Was this you alls first time? I love your photos and your narative. 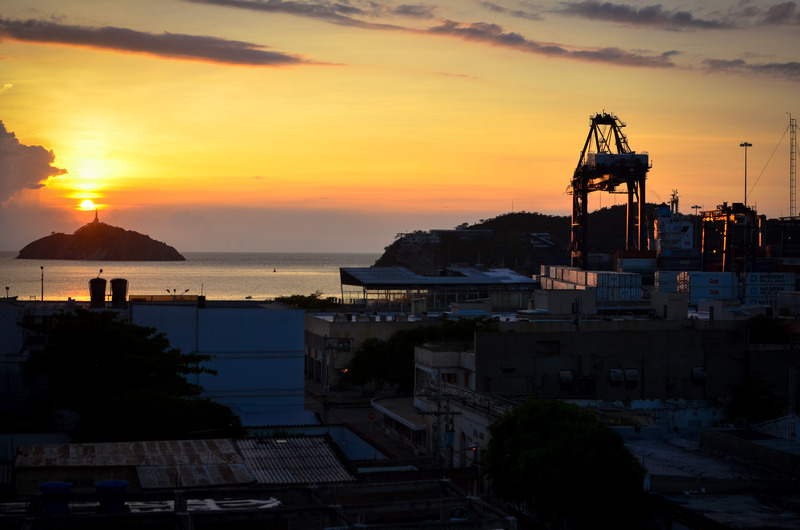 However, it seems like you´re generalizing Santa Marta from the very little you saw from it. It looks like you just went to the bad places (which every city in the world has). Those places you visited are probably the dirtiest. And there are plenty of “air conditoned” places, shops, and malls, but you won´t find them in “el centro” which is the old part of the city. 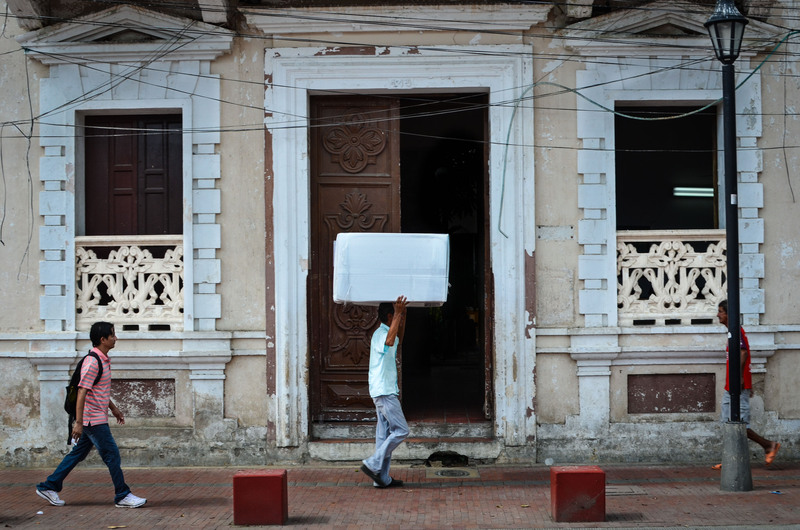 “el centro” has buildings that are hundreds of years old and that the government won´t let anybody touch them. That´s why the seem in “decaying” condition. Also, a lot of backpackers dont´mind hanging out in these dirty places because it´s the same place where they find cheap weed, that is also one the reasons why Taganga became so popular. Santa Marta has very beautiful beaches, hotels and places to visit, but they are not near “el centro” and by beautiful, I don´t mean expensive. 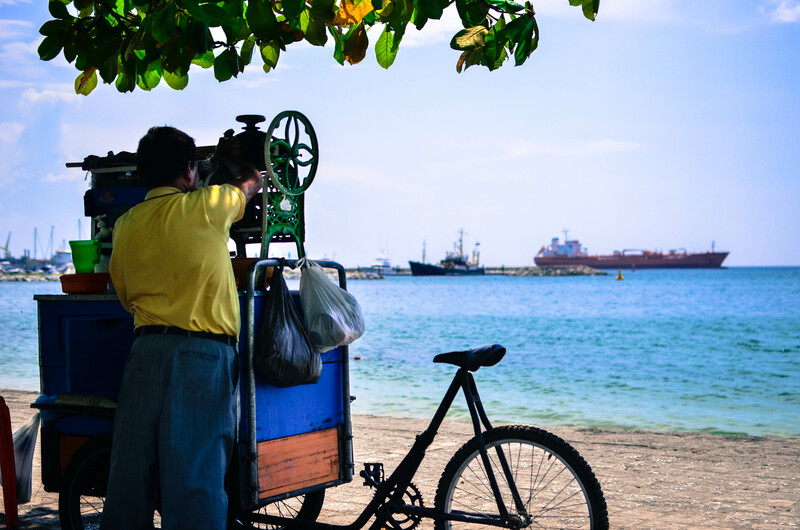 next time you visit Santa Marta send me an email, I´ll be happy to show you the nice side of it. I loved the Santa Marta that I experienced. I am not generalizing, I’m telling my experience of a place I visited. If you check out the rest of my blog you will see that resorts, hotels, and catered beaches aren’t really my thing. I like to see how normal, every day people interact with the world in all corners of the world. 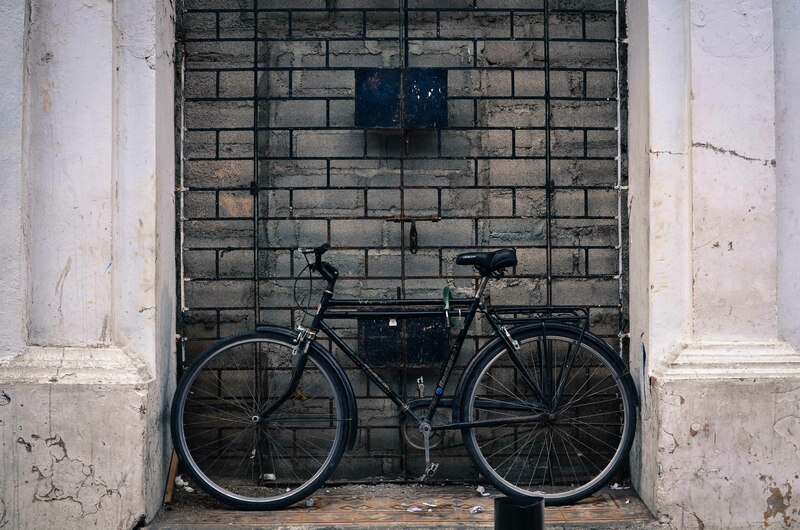 I live in mercados, I am always enamored with the friendly locals, but I also have a lot of street exploration experience. I think the decaying architecture is quite beautiful, and can tell a rich story without muttering a single word. We did get outside of Santa Marta into a beautiful beach area just outside of Parque Tayrona, and got to experience natural beaches without a soul in sight. Santa Marta will always have a special place in my mind, but the heat was a bit overbearing when I was there. Thanks for stopping by! I’m just now discovering this post. I was in Santa Marta two years ago. Loved it. I stayed in the centro and although I was cautious at night, that didn’t stop me from thoroughly exploring. I walked everywhere and took pics everywhere. A young cop even approached me to start up a conversation when I was taking pics in a plazuela. I saw a few dodgy characters but nowhere near as many as I thought I might. And I loved the city-center beach. The sand was silty b/c of the adjacent port, but the beach itself was surprisingly clean. See, this is exactly why I decided to settle down once and for all in the Colombian coastal region: The authenticity. Back when I was new in Colombia some 9-odd years ago, I lived at http://www.hotelcasacarolina.com (which is a boutique hotel- not necessarily the definition of authentic). 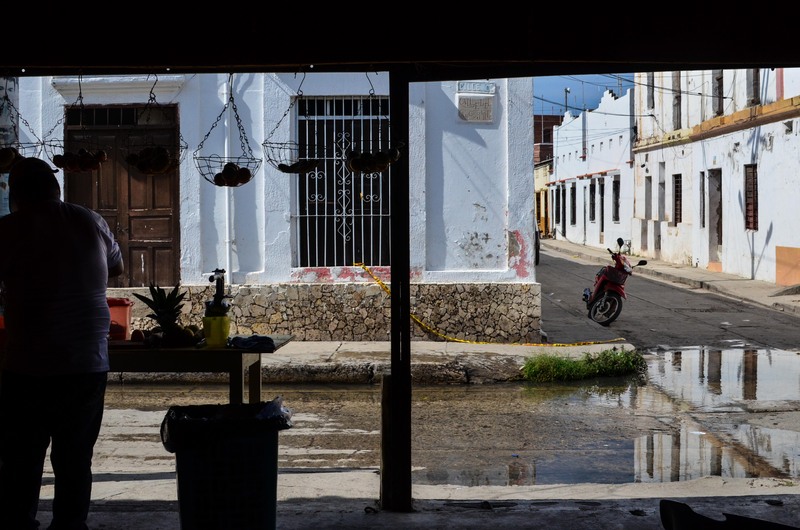 As I started to reach into the locals and what they do on a daily basis, I started to slowly discover the magic behind the everyday lives of these people and Colombian culture. Just thought I’d include my two cents. Wonderful article i kind of enjoyed everything what you wrote i could feel the way you express yourself when you get to know a new place, your remarkable experience living and knowing a good place like Santa Marta in unique.